Advocates for the underprivileged say that children who receive free and reduced-price breakfasts and lunches at school often go without meals at home. What happens when the weather prompts schools to close for two to three days per week, as they have in some Oakland County districts? That’s a good question, says Matt Outlaw, superintendent of the Brandon School District. 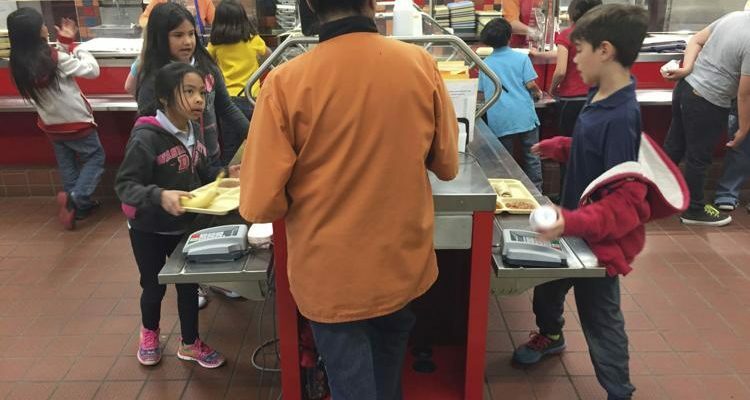 About 35 percent of Brandon students are enrolled in the federal free and reduced-price meal program. “We are discussing options,” he said in an email. The district, like many in Oakland County, does offer assisted lunches during the summer break. But if school is closed because of inclement weather, there is a difficulty in getting the kitchen staff to school to prepare meals. In the Southfield Public Schools, 59 percent of the students receive free and reduced-price meals, spokeswoman Anika Corbett said. The district has developed a support network that connects families with various resources to assist with their academic, social, emotional and health needs. The Gleaners Community Food Bank, for example, sends its mobile pantry to the district monthly to help families in need, she said. Gleaners is one of several resources available to help families fill the pantry at home, Corbett said. Even districts that have lower participation in the free and reduced-price meal program are aware of the hardship that frequent school closings can create. Shira Good, spokeswoman for the Bloomfield Hills Schools, where about 10 percent of students qualify for meal assistance, said the district is concerned about students who are going without food or perhaps even heat on days when school is canceled. She said they urge students and their parents or guardians to make use of area warming stations and food pantries. She reminds area parents and guardians that they can call 211 or 844-875-9211 for information on where they can receive emergency food assistance. They can also locate area food pantries by visiting www.pantrynet.org. Additionally, Good said, Bloomfield Hills has worked to create an environment where children can tell someone at school that they’re struggling on days when classes aren’t in session. Nationally, more than 13.1 million children are at risk of hunger, according to Blessings in a Backpack. The organization, which is active in many Oakland County districts, recognizes that children who receive food assistance at school may go hungry at home. The organization works to send them home with nutritious food for the weekends. Poor nutrition can result in a weaker immune system, increased hospitalizations, lower IQ, shorter attention spans and lower academic achievement, according to Blessings in a Backpack.